The United Nations Food & Agriculture Organization has issued a stunning report on global warming. Livestock production is responsible for more climate change gasses than all the motor vehicles in the world. The source for that quote is here. 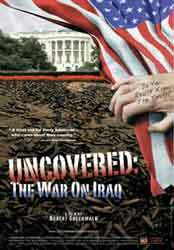 This is another good documentary about the war in Iraq. This is the whole documentary and I suggest you watch it. It gives some alternate information and perspective. So how can you talk about politics without discussing war? 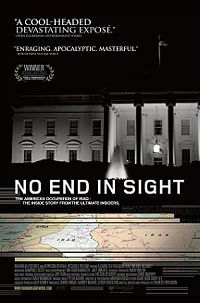 I saw No End In Sight a while ago and thought it was a superb documentary on the Iraq war. It has the most in depth coverage of the war that I have seen. If you are really interested in educating yourself on some of the details and facts of the war that you won’t see on TV, check it out. The movie imbedded above is the full length movie. 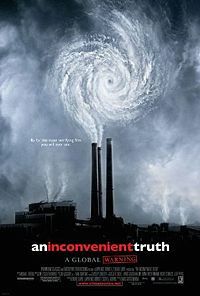 I’m going to keep posting some good primer movies and then hopefully make some kind of entry where I can start to discuss the ways in which I think all these issues are inextricably joined and woven together: war, animal usage, environmental impacts, food, energy and a few others as well. I also hope to start discussing not only these potential problem areas, but also some ideas that could possibly help to ease these problems. Again, I think the discussion will have to incorporate a spiritual element of self discovery. A development of self with clear respect for and a meaningful connection to nature, as well as those people around you. As human kind moves forward, more and more boundaries are falling. The world is indeed becoming more globalized and linked in many ways. I think people need to start seeing the world without country boarders, nationalistic pride and even pride in their own accomplishments. These arbitrarily contrived borders only serve as tools to manipulate your psyche. If you can see the world with no borders for just one second… imagine it. Then who are “we” fighting in Iraq? The answer would be we’re fighting ourselves. Humans are humans are they not? We need to stop seeing the world with so many divisions and boundaries and borders and controls. We all come from the same Earth and desire the same things. It time to start questioning the people that are creating these boundaries for you. UPDATE: I found the entire movie on You Tube, but in pieces. Just keep clicking on each consecutive clip to see the whole movie. I’ve embedded part one above. 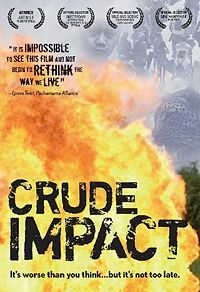 I saw this video a while ago as well as some other excellent videos on the same subject, such as A Crude Awakening: The Oil Crash and Blood And Oil The Middle East In World War I. I highly encourage you to check out all of these films. 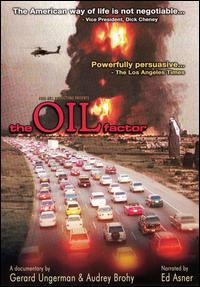 I think they give a firm overview of what’s going on in the world today regarding the impending oil crisis. I’ve started to research about what people envision happening after the crash and future forms of energy and ways the world might use it. But I haven’t found anything really comprehensive yet. If anyone has information about films or good books, please let me know. I just saw this great video about the energy crisis facing the world today and what some possible outcomes for the United States might be in the future. I found this video in a newsletter I get from the Organic Consumers Association. You should check out the site and also sign up for the newsletter. The newsletter is really well done and always has clear, direct information that you can digest quickly. I’ve embedded the video below, watch and enjoy!